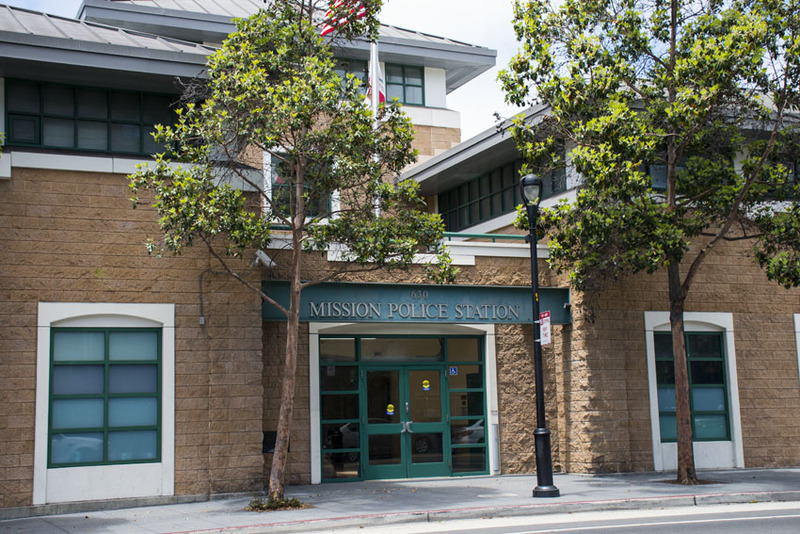 A former Mission Station police officer who was allegedly sexually harassed by a fellow officer at the station will receive $350,000 in a settlement approved by the Board of Supervisors on Tuesday. Linda Chen, who is now retired from the police department, alleged in a lawsuit against the SFPD that, in 2013, Officer Avery Parker physically and sexually harassed her at Mission Station. She alleged that despite repeated complaints, little action was taken. The lawsuit also details harassment by other officers in 2003, though not at Mission Station. According to her allegations on Dec. 11, 2013, Officer Parker allegedly sat behind Chen in a “straddle position,” placed his arms around her in a “bear-like” manner, and gave her “a little shake,” according to the complaint that was filed in November 2014. This was done in view of other officers, and despite Chen’s pleas for assistance, nobody came to her aid, allowing the behavior to continue, the suit says. The lawsuit also states that Parker acknowledged chasing Chen into a hallway, putting her into a “bear hug” and repeatedly whispering in her ear, “Tell me what I need to know.” This, too, continued in spite of Chen’s pleas to other officers for assistance, the lawsuit states. When Chen returned to her desk following the incident, Parker was allegedly waiting there and proceeded to grab her leg, the lawsuit charges. Chen also alleged that Parker poked her buttocks multiple times during the incident. Parker has since been promoted to sergeant and no longer works at Mission Station, according to police spokesperson Officer Robert Rueca. A call to SFPD requesting a comment from Parker was not immediately returned. When Chen met with then-Mission Station Captain Robert Moser and Sergeant Robert Kaprosch, who still works at Mission Station, the two senior officers did not take her seriously, dismissing the incident with Avery as merely “horseplay,” the complaint alleges. The suit alleges that Chen’s attempts at reporting the incident – including meeting with Equal Employment Opportunity staff, filing a worker’s compensation claim, and making both verbal and written complaints to her supervisors – went largely unaddressed. The defendants’ “ongoing failure to remediate the hostile work environment, accommodate [Chen], adequately investigate and address specific instances of conduct, inform [Chen] of process, and provide [Chen] with with employment benefits and fair process to which she was entitled was based upon [the defendants’] … discriminatory intent and constituted a ratification of the conduct of Officer Avery Parker …,” the suit states. “Officer Avery Parker was not disciplined, but rather praised repeatedly throughout the department by [Chen’s] superiors and others,” it adds. In 2003, the lawsuit alleges, Chen was subject to a harassment campaign that lasted several months, though by different officers and at a different station that was not specified in the lawsuit. In March 2003, her brake lines were cut while her car was parked near the Sheriff’s Office, and after she filed a claim she was told an officer was responsible, though she wasn’t told who. The following month, Chen reported that the lug nuts on one of her car’s front wheels was removed, and after she filed a report, she was told a fellow officer was the perpetrator, but again was not given a name. In December, Chen filed a report claiming that her desk was tampered with, causing it to collapse. Following an investigation, she was yet again informed that a fellow officer was responsible but not told who. Would the good officers Moser & Kaprosch condone this type of “HORSEPLAY” with their own daughters. Women are not horses buys both Captain and Sargent. Mission Station Captain Robert Moser and Sergeant Robert Kaprosch, who still works at Mission Station, the two senior officers did not take her seriously, dismissing the incident with Avery as merely “horseplay,” the complaint alleges. Would the captain & sargeant like their daughters to be victim of such horseplay?